Although the worst of Elk Grove's housing foreclosure crisis is behind the City, an arrest by Elk Grove Police on Friday, November 25 is a reminder of the lingering effects of the meltdown. Police officers responded to the 8300 block of Red Fox Way Friday morning regarding squatters occupying a bank-owned property. Upon arrival officers and contacted 27-year old Timothy Luciano Passalapi who was found to be on probation. A probation search led to the discovery of an unloaded handgun and two loaded magazines. 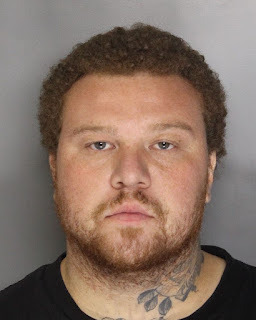 Passalapi was arrested and booked into the county jail and faces felony charges of probation violation and a felon in possession of a weapon and ammunition. Bail is $80,000, and arraignment is on Tuesday, November 29.